Complementing the Pentax K-01 is the 40mm f/2.8 pancake lens. It is staggeringly thin, and when mounted on the camera is not much thicker than a standard body cap. Pentax claims that, at the time of introduction, it is the world’s ‘thinnest interchangeable lens’. In fact, it is just 9.2mm deep, not including the mount that protrudes into the camera body. It is also light, weighing just 52g, and it can be carried around in a pocket. Impressively for a lens as thin as this, the Pentax pancake optic comprises five elements in four groups and has an f/2.8 aperture. With a 61mm equivalent focal length, it is ideal for travel, street and portrait images, and the f/2.8 aperture makes it useful in low light. With such a thin lens there is no manual aperture control ring, although manual focusing is possible with a very thin focusing barrel. 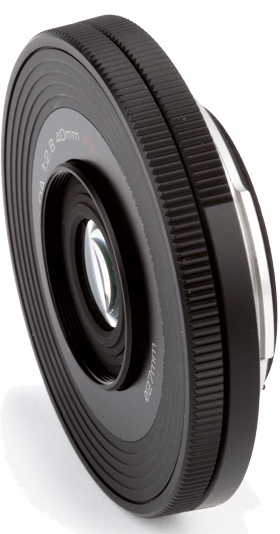 Marc Newson has also designed this 40mm f/2.8 pancake lens, so it has the same minimalist styling as the K-01. The pair complement each other rather well, although it is strange to see such a thin lens on what is, comparably, quite a substantial body. Optically, the lens is very good, almost matching the resolution chart images taken with the Pentax 16-50mm f/2.8 optic. This pancake lens is also sharp at the edges, and while there is the merest hint of red/cyan fringing in a couple of images, it is so faint that it is easily removed and won’t be noticeable in most photographs. 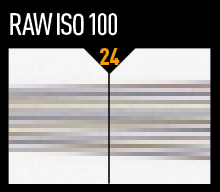 Resolution chart: Despite its small size, the 40mm f/2.8 lens can resolve a lot of detail. It almost matches the resolution of the 16-50mm f/2.8 optic.